We’d love your help. Let us know what’s wrong with this preview of Gol by J.W. Webb. Lissane Barola hates her baron father's choice of husband Valentin. 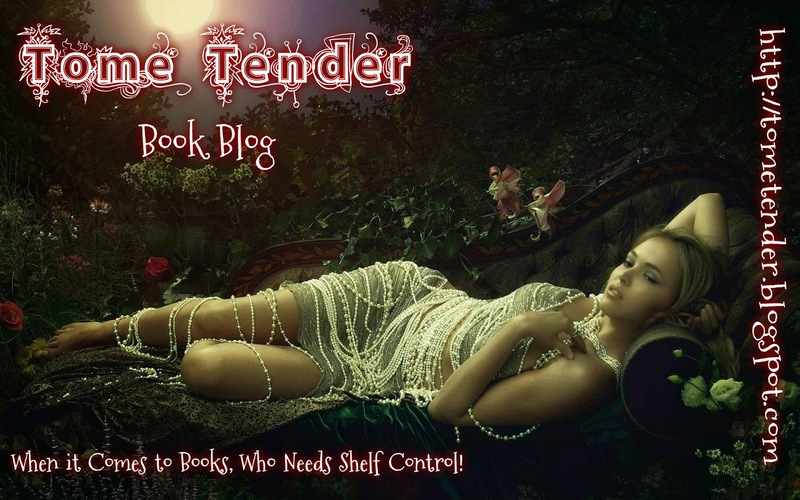 With Erun, her secret lover in a nearby village, she plans escape. But the net is closing, and the gods have marked them. To ask other readers questions about Gol, please sign up. This question contains spoilers… (view spoiler)[What is the purpose of resurrection of revolutionary Ambedkarism ? Can a SEPARATE DALIT HOMELAND be the solution of the problems of Dalits in India even now ? Do you like epic fantasy sagas? The kind that slowly encase you in a new world, a different time and a place like you have never known? The Legends of Ansu, a new series will bring sorcery to life, place you in the midst of battle, put you at the mercy of treachery by man, uncaring gods and civil war. Gol by J.W. Webb tells of an island and its people, and the wrath of the Sea God. Political machinations tear two young lovers apart, as Lissane is to wed an enemy baron’s vile son and Erun is left Do you like epic fantasy sagas? The kind that slowly encase you in a new world, a different time and a place like you have never known? 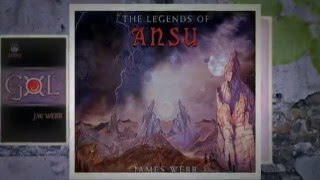 The Legends of Ansu, a new series will bring sorcery to life, place you in the midst of battle, put you at the mercy of treachery by man, uncaring gods and civil war. Gol by J.W. Webb tells of an island and its people, and the wrath of the Sea God. Political machinations tear two young lovers apart, as Lissane is to wed an enemy baron’s vile son and Erun is left without her to take a different path. Together they were meant for so much more, they could have been the driving force to save their people, but now, an evil sorcerer has unleashed a terrifying demon who will threaten everything that Gol has. J.W. Webb leaves no stone unturned as he builds a world steeped in turmoil, deceit, greed and a thirst for vengeance. His characters are many, and each role is uniquely developed as events unfold from places at once. Fierce scenes will sear your brain, tender moments will soften your heart and epic descriptions will leave your mind in a state of awe. Epic fantasies are just that, building and growing one word at a time until one is lost in the tale, the world and the events. Mr. Webb has created an epic fantasy to savor and enjoy. While at times the pace races by, it is the moments in between that enrich each page with his words. This is not one evening’s read, do not race through it, you WILL miss a vital item that you need. Let the story cloak you in another world. For anyone who enjoys the world of fantasy, the good fight, the tension and the powers of the gods and demons alike, I highly recommend Gol. Gol is a high end fantasy epic. It is three books within one and you get a lot of book for your money. There is a huge cast of characters, mystical Gods, tricky elementals and fantasy lands to get your head around. The book opens in castle Barola in the land of Gol, where we meet Baron Eon Barola, his three sons and daughter. The Baron is forever scheming and plotting about ways to increase his power, he has a marriage planned for his daughter which will form an alliance. But first he must see of Gol is a high end fantasy epic. It is three books within one and you get a lot of book for your money. There is a huge cast of characters, mystical Gods, tricky elementals and fantasy lands to get your head around. The book opens in castle Barola in the land of Gol, where we meet Baron Eon Barola, his three sons and daughter. The Baron is forever scheming and plotting about ways to increase his power, he has a marriage planned for his daughter which will form an alliance. But first he must see off her current lover, a weak poet lad called Erun Cade. When his sons fumble the beating, Erun is rescued by a hermit known as Irulan and taken under his tutelage to train for times to come. In a far off land a huge earthquake erupts and a dark sorcerer called Ozmandeus captures the fire elemental called Ashmali who has been magically trapped for centuries. This evil wizard uses Ashmali to crush and burn all in his wake as he feeds the hunger of the fire element with the souls of all those he burns. With Erun Cade's training under way he is then sent on his first quest to reach a magical land and seek out one known as Scaffa, upon his travels he rescues Red Torrig a rebel who will become his friend, amongst many others. After three years of training with Scaffa on the island of Laras Lassladden, Erun is ready to take on quests set by the giantess herself. He must travel far and wide to capture the elementals of wind, earth and water, so they may work together against the increasing power of their brother fire. Alongside the storyline of the elementals and Erun Cade, is the continued struggle for power from many of the nations and their peoples. Marriages, murders, corruption, and an annual games tournament are all written with a bawdy style, dripping with base sexual encounters and language which may appeal to a limited audience. Erun Cade is the main link between the two. The fantasy lands, the different nations, the mystical creatures and the quests are all great elements of the high end epic fantasy and the author has created an ideal setting on paper. The huge quantity of material can mean a lot of back and forth and catching up with sub-storylines, which can be a challenge to keep track of, readers should note this book is written as a book 1 of the Legends of Ansu. My favourite character was Red Torrig because he was funny, light-hearted and shone out from the other characters. For me there was too much doom and gloom in dismissive character speech, opinions of others, asides and mannerisms. Add to this an overuse of the terms "fool and Idiot" and I failed to engage with the characters. This was a very entertaining story. The characters and plot of the story we well crafted and engaging. The story moved at a fast pace and had plenty of action. I highly recommend this book to fans of the Fantasy genre. 4/17/18 - note to self, why did I buy this book? Epic fantasy, star crossed lovers, high reviews on Goodreads and Amazon, and free today. An epic story worthy of JRR Tolkien, tells of the eponymous Gol - a mythical kingdom on Scaffa's Island, the legend of which will fascinate anyone who ventures into its world of imagination by the fine author J W Webb. The first of four books in The Legends of Ansu series, Gol sets the scene with great detail, after its King has been violently and treacherously removed from the throne by his vassal barons. They have caused an impending bloody civil war, with their multiple claims to the now-empty throne - by right or might! Much of the trouble has been caused by Ozymandias, a vindictive warlock, bent on vengeance for his exile, who releases Ashmati, (a bound Fire Demon) on the weakened kingdom. The latter can only be defeated and imprisoned again, by a hero who can summon the three other Elementals to unite with him against it. With said hero unaware of his destiny and about to be murdered (if Fate is against him, by the father/brothers of the girl he loves and intends to elope with), time is of the essence if the Kingdom is to survive. I loved how the story was told from various viewpoints and from different places. The story begins from Eon Barola’s point of view before switching to Lissane Barola. As the story progresses, the setting widens to include other faraway kingdoms in the Great Continent where another story was set in motion. Although there were many characters involved, I did not find it hard to keep up due to the unique names given to them. It certainly made things easier especially with the quirky and crazy perso I loved how the story was told from various viewpoints and from different places. The story begins from Eon Barola’s point of view before switching to Lissane Barola. As the story progresses, the setting widens to include other faraway kingdoms in the Great Continent where another story was set in motion. Although there were many characters involved, I did not find it hard to keep up due to the unique names given to them. It certainly made things easier especially with the quirky and crazy personalities of different characters. The setting of Gol was also intricately described; the author presented the natural surroundings of the different provinces in great detail and in such a way that the reader is pulled into the story. One of the many reasons I enjoyed this book was the medieval setting of the story and because it was a high fantasy. It was fun reading about the many wars between the different provinces and about the different plans and treaties made and destroyed between the provinces. If that wasn’t enough to get my attention, outside from Gol, another different terror was fast approaching from a distant continent and Gol was fast sinking into the seas again. Erun Cade was the most dynamic character, as the story progresses, he was completely changed from the weak poet that he was into a warrior that is trained in every aspect. But his emotions remained the same. Although he was separated from Lissane for a length of a number of years, his love towards her remained the same. I really respected that part of him. What both Erun and Lissane have in common is their resilient spirits that is able to withstand any adversity. They both focused on their goals and I think that was partly the reason why they held on to their lives with all their might. Lissane Barola was another interesting character. She was strong-headed and strong-willed, and filled with hatred for her father and her brothers. It was only with her personality she was able to survive in Galania for so long. It was saddening to see how she was treated in Galania, though. Although she was a daughter of a ruler, she was treated badly in Galania. Lissane was nothing but a pawn to her father but it was certainly a good thing that she had no intention at all of obeying her father. She took her life in her own hands the moment she exited Barola. Webb’s book gives off these dazzling vibes of Christopher Paolini and Ursula Le Guin. His descriptions render you one with the page, and you find yourself wondering if you’ve accidentally put your eyes on an old classic. As the book progresses, darkness and torment frothing to uncontrollable levels all over Ansu, I feel that Webb lost his handle on precision and distanced the reader from the characters and the action. Characters are the most important thing to me when reading a book after composi Webb’s book gives off these dazzling vibes of Christopher Paolini and Ursula Le Guin. His descriptions render you one with the page, and you find yourself wondering if you’ve accidentally put your eyes on an old classic. As the book progresses, darkness and torment frothing to uncontrollable levels all over Ansu, I feel that Webb lost his handle on precision and distanced the reader from the characters and the action. Characters are the most important thing to me when reading a book after composition of the book itself: the skill in writing it being the chief draw. I was so impressed with his character creations and his expert dialogue, and I created hopes for a dual set of badass characters that weave magnificent futures. Though I was disappointed by the ending, the violence, the death of many main characters, I can forgive these because of the epic scope of the book. It does read like the Iliad or Odysseus might, unforgiving gods and fate doing their worst on the unfortunate characters of the tale. It was a very well-written book on the whole, and I will be reading more by Webb, especially in hopes that his female characters don’t disappoint me like Lissane did. Erun Cade fulfilled all the author’s promises of badassery. He starts off as a jaunty, ignorant, soulful character who wants to travel to another land and “make it” as a poet. The loss of his father (in one of the best Dad rescue scenes I’ve ever read) and the mentoring of a God disguised propelled him into the identity of a warrior, hardened traveler, lustful collector of dangerous elementals. He not only gains an interesting scar, he is molded anew in his drive for revenge and his new companions. Erun Cade got his transformation, and I’m disappointed that the character with perhaps the most potential, seemingly promised a powerful future, did not. Continuing. Lissane is told that her children will rule in the next powerful empire of sorts, their children being a combination of gods’ blood from herself and Erun Cade, but we get this sneaky little clue that she will be instrumental in the freedom of one of the gods, so we begin to stir up hope that Lissane, too, will get her grand adventure, her self-sufficiency, her freedom from patriarchal suffocation and abuse. Lissane spends most of the book being a prideful but loving, generous spirit. It seems sudden and uncalled for the hate and rage that call her to forget her compassion long enough to die, never having fully resolved her relationship with Erun (after telling him that she would never love him like she loved Estorien), never getting the adventure (adventure that isn’t dependent on the rescue and whisking away of a man) and warrior training that she desired. Lissane dies from a poisonous arrow, saving her warrior husband, which I suppose is at least better than Slinsi got, but I’m still frustrated at the ruined potential of a character like Lissane. These may seem like petty complaints, but I did really enjoy reading the book. Webb is a wonderful writer, very talented, and I will trust him with more of my time. Being a fan of Epic fantasy I dug into this book with enthusiasm. It's a little darker than what I'd normally read but I was able to finish it. Personally I think there was too much time spent on harrassing the protagonists and not enough time developing them. The idea of trying to get your characters recognized, enjoyed, maybe even liked and then killed off all within one book? Not my favorite, I also spent a lot of time skipping over detailed surroundings, and under-detailed characters. I want to follow the characters and see them in my mind, where they are, though necessary, is not as important as who they are. Behold the fans of Game of Thrones, here comes the adventure, action, violence, sorcery, and God filled series of GOL. GOL by J.W.Webb is a book of provinces, politics, and wild ambitions of their rulers. GOL continent was ruled by a king named Flaminius. As expected, many were not satisfied by being an underdog; therefore, they plotted against him, murdered him, divided the continent into six provinces, and distributed each province among themselves. Today, the continent has six rulers — one fo Behold the fans of Game of Thrones, here comes the adventure, action, violence, sorcery, and God filled series of GOL. 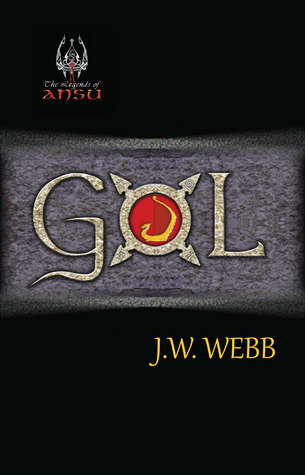 GOL by J.W.Webb is a book of provinces, politics, and wild ambitions of their rulers. GOL continent was ruled by a king named Flaminius. As expected, many were not satisfied by being an underdog; therefore, they plotted against him, murdered him, divided the continent into six provinces, and distributed each province among themselves. Today, the continent has six rulers — one for each province. These rulers of these provinces (Rodrutha, Treggara, Galania, Barola, Dovesi, Sarenia) are, however, not satisfied by their own share and are constantly at war with one another. Baron Eon Barola, lord of the Barola province) is forcing his daughter, Lissane, to marry the prince of Galania, Varentin. His motive is simple and predictable; a marriage between two provinces would move him closer to his dream of ruling the whole continent. However, Lissane’s heart belongs to a smith’s son, Erun Cade. Erun is, by no means, a worthy contender in the eyes of the lord of Barola. Therefore, he provides his vicious sons, Rosco, Aldo, and Paolo, with an ordinary task of threatening Erun. Soon, he realizes that there is nothing ordinary about his task. In another continent, a sorcerer, Ozmandeus, is busy releasing a fire demon. If this demon, Ashmali, is released, a mayhem is sure to follow. With a rise in the evil forces, Gods and Goddesses have started building their own forces. The collision of these events results into an eruption of violence, confusion, and uncertainty. GOL is not just a book, it is an experience. The politics of over-ambitious and arrogant rulers prove to be a hazard for their people. There is nothing worse than an arrogance driven ruler, who turns his back on the people and focuses on his own petty agenda. Eon Barola is a character that proves this theory. He is the man who is ready to sacrifice his own children to claim a throne. The dialogues of the author are very clever in presenting the real nature of each character. The lack of visuals in books, as opposed to the movies, can only be compensated by skillfully writing the dialogues, actions, and thoughts of the characters. J.W. Webb has been victorious in this area. The author’s intelligent usage of prophecies and dreams has proved quite useful in increasing the anticipation and intrigue of the readers. Each prophecy forced me to imagine what could be the future of this continent. The characters — both mortals and immortals — have been sketched with perfection. Each character, no matter how short they last, has a personality. This trick of the author leaves the readers guessing whether a particular character would get to play an important role in the book or not. The events, though connected, remained unpredictable. Various elements of surprise managed to keep me on my toes. The witchcraft introduced more thrill than I could have guessed while accepting the book for review. Gods and their mind games have been quite entertaining. Erun Cade’s anger towards Gods for considering mortals a play thing would resonate with many readers. The century-long question of why would God hurt his own children is thought-provoking and resides in the hearts of many humans — believers and non-believers both included. The fact that J.W.Webb raised this question by using a character is another example of his profound talent. The immense pain of a heartbreak is drawn skillfully by the character of Lissane. The daughter of a ruler feels trapped inside the huge castle of his father; this is not an uncommon occurrence. Many books have been written on the same theory. However, her determination to stand tall even in the most unfortunate circumstances is a fresh approach. I would have liked for her character to exhibit more physical strength. In my opinion, she remained a damsel in distress, with an exception of her strong drive to survive. The pages are filled with violent and sexual content; however the narration of the story never seemed overwhelming. With at least three stories running in parallel at all time, the plot never seemed monotonous. If monotonicity dared appear its head, the author has cleverly diverted the attention of the reader by writing something gross, like a mention of nose-picking or farting. The dialogues are very entertaining and realistic. The conversations never seemed boring and always managed to answer the possible questions of the readers. By the time, I finished the book, all my questions were answered by either the conversation or the thoughts of the characters. I would advise readers to either mark or note down the name of the characters while reading because there are a lot of characters. The author has gracefully mentioned the credits in the glossary section of the book; however, I find writing down the names more effective. The writing style of the author is descriptive. The readers can visualize everything, from castles to the roads; thanks to the narration of the author. The prominent mood of the book is dark; however, many events are written to lighten the mood. Overall, the plot remains quite intriguing and full of surprises. As a reader, I thoroughly enjoyed the book. I would recommend this book to the readers who like reading about kingdoms and the politics of the rulers. If you have a stomach for violence, you have no reason to hold back from a plot that has the potential of reminding one of Game of Thrones. Yes, I liked it, as convoluted, twisted, back and forth, tortuous reading as it was I didn't open another book until I finished the ENTIRE series. hard to classify, Lord of the Rings? nope ummmm, the entire Belgariad cycle, sort of, one truly MAJOR nasty but so many other nasty villains. many baddies got their's but oh dear, our poor good folk. At times I was lost but I think that it was more from the names and which country they belong to. The beginning to each part moved slowly due to all the set up of the events to come. I found that the book and people drew me in and I was invested in the stories and characters. Underdeveloped but a good story. An original slant on a timeless saga, but the story was underdeveloped at the most crucial times. The story read more like an outline in too many scenes. At no point was I ever lost in the book but the writing was solid. There was quite a bit of redundancy (saying the same thing in often the same way in subsequent sentences and paragraphs). I did not mind the small number of typos. A good read. How true is to never judge a book by it's cover. Literally. I absolutely loved this book. Everything in it is wonderfully written and developed throughout the book. Epic. Should become a classic. I couldn't stop reading until I simply had no choice. A truly wonderful world with all of man's foibles and traits that barely keep us redeemable for another generation. You cannot help but become engrossed in the creativity of J.W. Webb! I only got to page 30. The main hero was such an awful and frivolous bore that the idea that he would amount to anything was laughable. Teenage angst at it's worst. I really enjoyed the complex weaving of characters, where the heroes have flaws and the enemies have some redeeming characters. It's also a tragic tale of loss, the folly of the quest for power and how such a quest can ultimately destroy everything. Fiction, fantasy, dream, wish, any of then or all of them, call this story what you will it was entertaining, a read worth the time necessary to complete. Congratulations on a labor well done. Excellent book. I really enjoyed reading the book and will get the next one. It was long, but kept me interested all the time. I highly recommend the book. I will definitely read the next in the series. His writting is exceptional. I really hate giving a bad review, but I really tried to force myself just to get as far as I got. Maybe most people will love it. I just could not keep reading. Excellent writing! I could not put the book down. The story is epic. The characters so real. I was totally caught up in it. I really enjoyed this book, great twists and turns. Really engaging charactors. Hard to put down and I was sorry when the book ended.